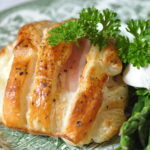 Simple salmon-en-croute. 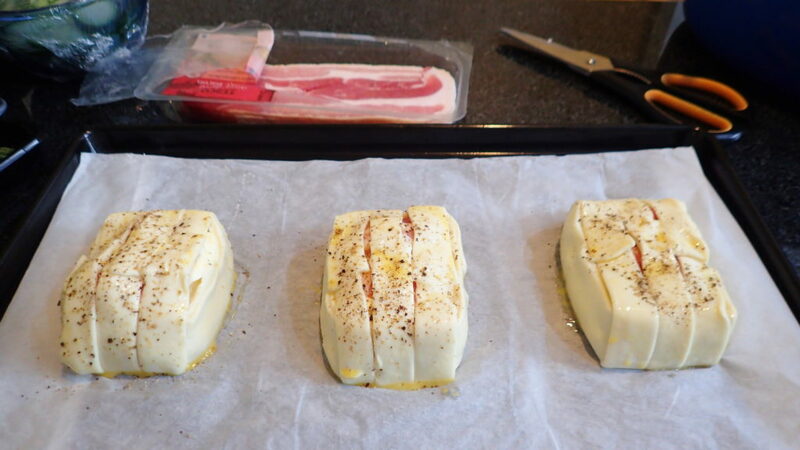 This is another easy recipe. I like to cook and anyone can recreate this dish at home. Your pleating will become much prettier the more you make it. You can serve with any vegetable of your choice. 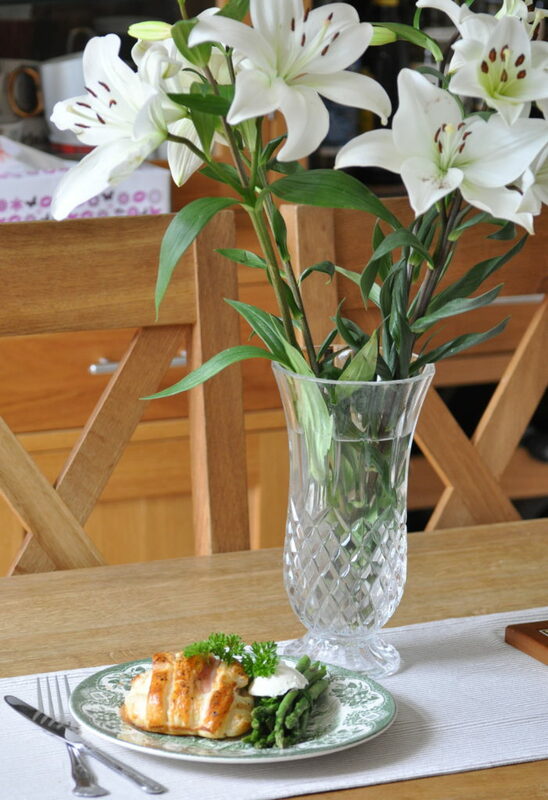 It’s a very easy fish course if you are having a dinner party. You can prepare early and stick into your fridge. Just puts into your oven when your guest arrived. 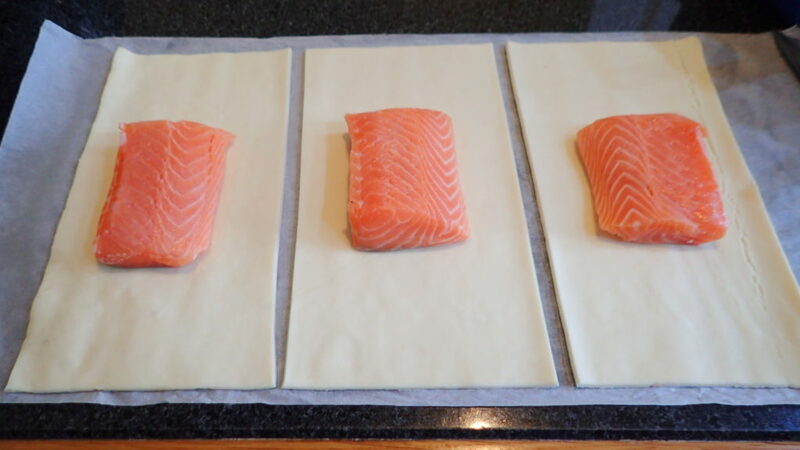 Roll out your pastry to fit your piece of salmon leaving about 8 to 10 cm on the sides to slice and overlap when wrap to the middle of the salmon. 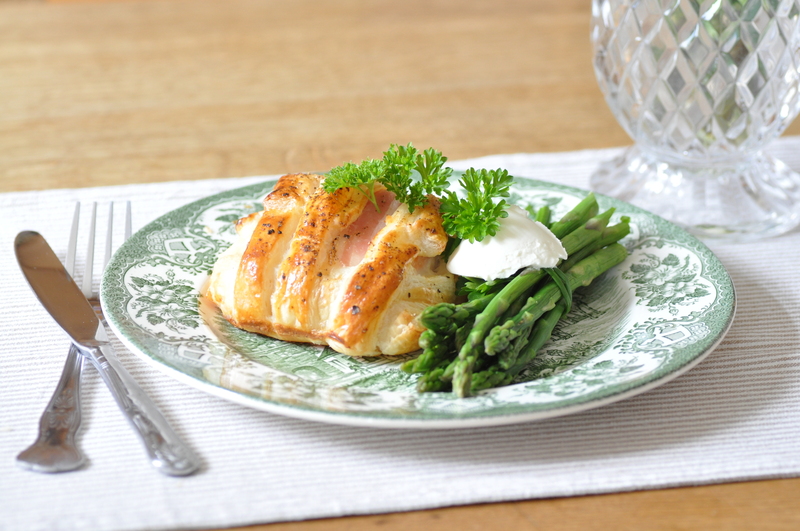 place the spring onion and cheese on top of the salmon. 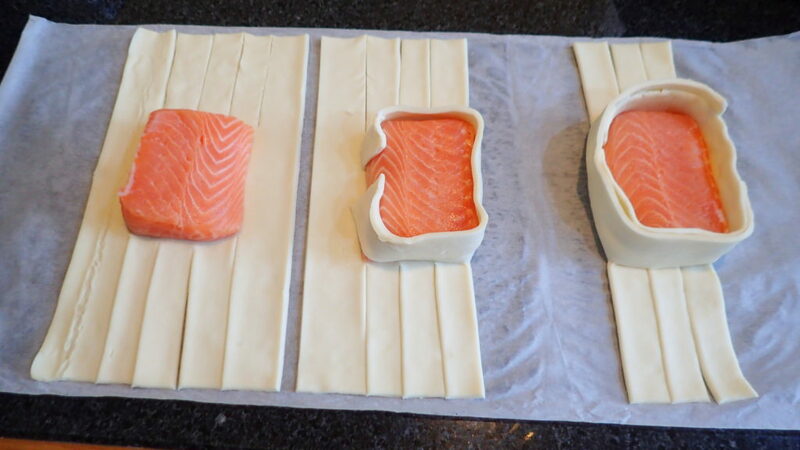 Place the salmon in the middle and cut the sides of the pastry about 2 cm strips. bring one strip over then the other until all finished. Place into oven at 180C (fan assisted) 200C for normal for 25 to 30 minutes or according to your pastry’s manufacturer instructions. 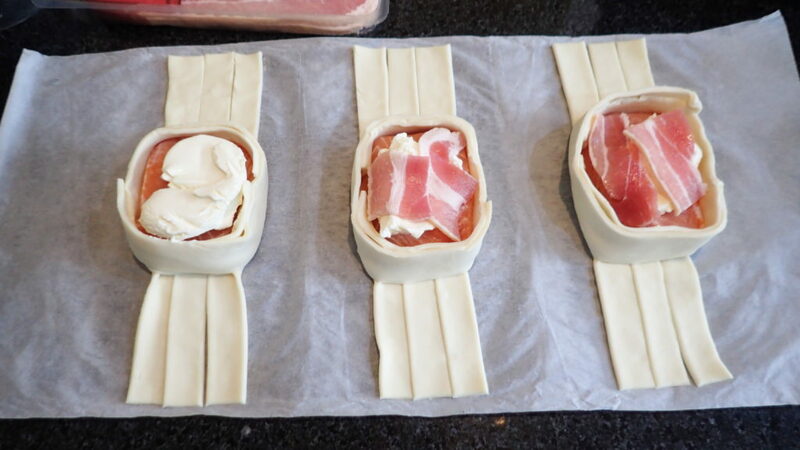 This is a no frills salmon-en-croute for one. Extremely simple and easy to make for them lazy days.